JustForFans is an adult-friendly platform for selling premium subscription services. In addition to running a fanclub, performers can also make money from texting. All genders are accepted and JustForFans features some of the highest payout rates in the industry. All genders are accepted, there’s a high payout frequency, low min payout and other great features such as affiliate promotion. Here’s all the details. The only requirement is that you must be eighteen years old or older. You’ll need to provide a digital copy of photo ID for age verification. This is to stay compliant with federal regulations and your personal information is always kept private and secure. If you already have the content to populate the fanclub, you’re ahead of the game. If not, you’ll need everything to produce the content required to keep the fanclub active. JustForFans performers earn 70% of all the revenue generated from the site. Chargebacks are not covered, although JustForFans will split the chargeback amount 50/50 with models. There is no minimum payout for US performers. For Europeans, there is a $50 minimum. Payouts occur weekly on each Monday. The cashout method for US models is ACH / direct deposit, and wire transfer or Paxum for European models. JustForFans also offers cryptocurrency payouts as well. The primary focus of JustForFans is running adult fanclubs. If a user wants to access the content a model uploads to the site, they must pay the monthly subscription fee. In order to keep accessing the content, they have to keep paying the monthly renewal fee. The more subscribers you’ve got, the greater the monthly income. Fanclubs can be very lucrative, especially for performers that got a large following / customer-base. Tiered Pricing / Levels: JustForFans supports different pricing tiers and pricing plans. JFF models are able to name their own subscription tiers for customization. You can either stick to something generic like; “Gold, Silver and Bronze” or get more creative and unique with it. When uploading content, models can specify the lowest tier the uploaded content should be available for. Blurred Feeds Until Subsribed: Until a member subscribes to your fanclub, all the content on your feed will appeared blurred, unless indicated as promo / free content. Models have full control over the intensity of the blur. Either completely block it out, or make it more revealing for a bigger tease. JustForFans performers can also make money from selling adult clips on the site as well. Simply upload the video and set your price. The videos will appear on your profile and members will be able to discover them on other parts of the site as well. JustForFans handles all the payment processing and delivery of the purchased videos. JustForFans models can also get paid from sexting. Select your rate for incoming or outgoing text messages, photo messages and video messages. In addition to texting through SMS, JustForFans also has a paid messaging platform built directly into the site. JFF models are able to send locked content via messages, where the member must pay first, in order to access the content. What can be sold through custom store items isn’t limited to the above categories. Store items can be used to sell a wide range of products and services. JustForFans supports regional blocking. Most of the countries are supported, and JustForFans also supports the blocking of individual states for models within the United States. Tumblr-Style Free Section: All the free / promotional content on JustForFans can be featured in their free area. This is a Tumblr-style setup that allows other members like, comment and repost your content. Generate Coupon Codes / Free Trials: Models can also generate coupon codes with JustForFan fanclubs. Set the discount amount and expiration date, if you want one. It’s possible to give free trials by setting the promotional price to $0.00. 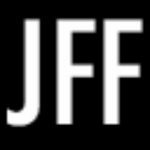 JustForFans Promo Twitter: JustForFans runs different, dedicated Twitter handles for promoting female, male, transgender and couple content. JustForFans is also running an affiliate program. this brings in new traffic and customers, benefiting the performers. If you are an affiliate, you can make 10% for the first month on all new customers who sign up for the site. Performers are also able to take advantage of the affiliate program. Affiliate marketing is a great way to create a new revenue stream. If you’re already promoting your fanclub on JustForFans, it only makes sense to take advantage of the affiliate program. JustForFans supports studio / producer accounts. These accounts can work in two different ways: Studios can register models under the studio account, and take a percentage. For content producers, there’s accounts that behave very similarly to model accounts, but can feature all the scenes that have been shot. Ready to get started on JustForFans? Signup today! The registration process is quick and easy and you can get started in no-time. JustForFans offers a high percentage and multiple ways to earn. Make money from fanclub subscriptions, clip sales, sexting and through custom store items, that can be used to sell a wide range of services.